We are the renowned name when it comes to Aquaguard Water Purifier Dealers in Chennai. Aquaguard Enhance RO+UV water purifier provides double purification by employing both RO and UV technologiesis. 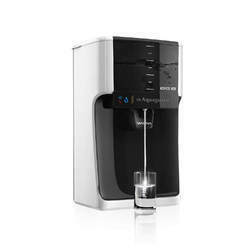 Equipped with a multi-stage unique Reverse Osmosis water purification process, to give you pure, fresh water. Our company has been acknowledged in offering Heavy Duty Water Purifier to the clients. Heavy Duty Water Purifier is manufactured by the talented professional using top grade material and with sophisticated quality management systems. This product is broadly acclaimed amongst the clients for functionality and service life. We are the dealer of Aquaguard Water Purifiers in Chennai. Features: High Tank Capacity, Invasion Free Lid, LED Indicators, Mineral Guard, Silver Surety. We have been counted amongst the most trusted names in this domain, engaged in providing supreme quality range of Aquaguard Water Purifier. 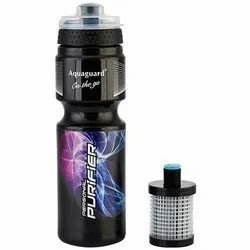 This Aquaguard Water Purifier is widely demanded in different industries for purifying water. Our product range is designed by using advance technology at our vendor's end.